How does Weekend of a Champion and Bowling for Columbine conform to the codes and conventions of the documentary genre? 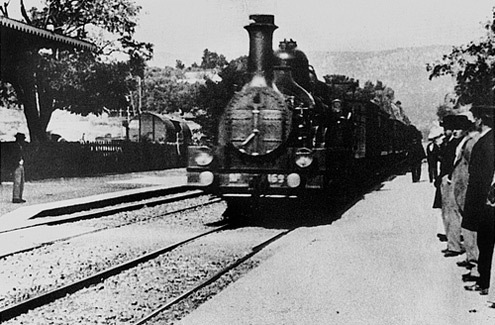 Documentary is the earliest of film genres, from the Lumiere Brothers’ The Arrival of a Train at La Ciotat and Workers Leaving a Factory (1895) through to The Epic of Everest (1912) and Vertov’s Man With a Movie Camera from 1929. It is, and always has been a prolific genre with the primary objective to inform but also to educate, entertain and also persuade with many documentaries encoded with subjectivity, point of view and ideology. John Grierson coined the phrase “the creative treatment of actuality? in terms of the manipulation of content by documentary film-makers relating to the contract between spectator and film maker in considering notions of realism. This investigation seeks to explore the codes and conventions of documentary film making by analysing two key texts, Roman Polanski’s personal Weekend of a Champion that follows his friend, the then Formula 1 world champion Jackie Stewart and his fiancé in the lead up to the 1971 Monaco Grand Prix, and Michael Moore’s Bowling for Columbine – a film which uses the Columbine High School Massacre to explore themes of gun control and the nature of violence in the US. To fully explore the codes and conventions of documentary film-making, an identification of the sub genres of documentary is required, each with its own conventions. 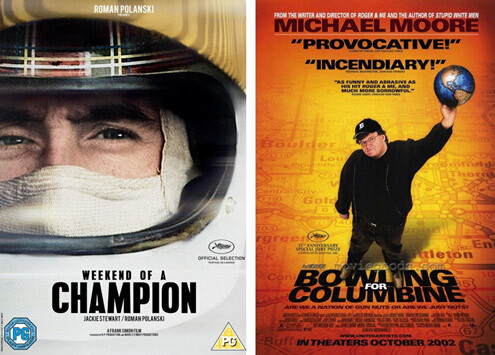 Using Bill Nichol’s documentary modes of representation, Weekend of a Champion is both observational and interactive while Bowling for Columbine would fit the mould of expository documentary but again, also interactive with Michael Moore as much the star and subject of the film and the narrative content itself.